As refreshing as the soda they pump out. 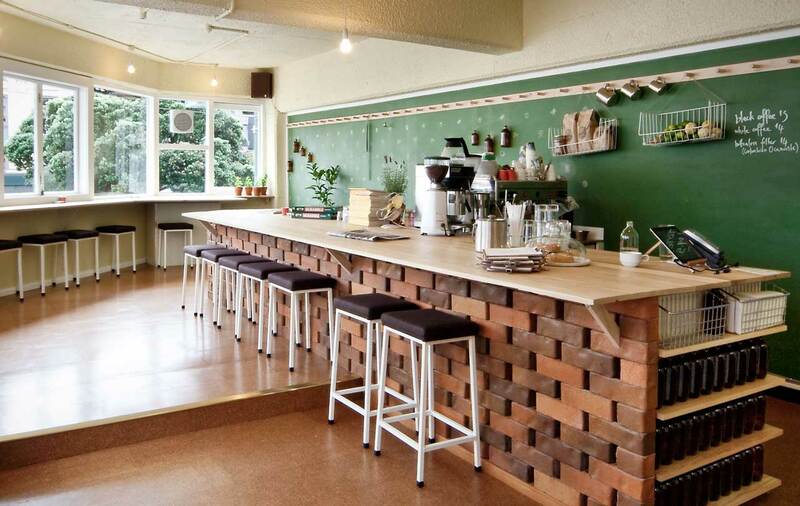 This really is a top little hangout in Welly. Six Barrel occupies a small upstairs spot on Dixon Street where you get some nice people-watching below and some nice sun through the windows. Soda and vitamin D are probably good for you. They make the syrups onsite so you know it's legit. This also means you can pick from the full lineup of flavours. The varieties are fairly numerous and change depending on seasonal supply. Their current flavours are kola nut, lemon, cherry and pomegranate, lime, raspberry and lemon, hibiscus, sarsaparilla, vanilla cream, ginger and celery tonic. Those last two are worthy of mention as going down a treat and they will definitely cool your jets on a balmy summer arvo. The choice thing about Six Barrel's cafe is that the offerings extend well beyond the sodas themselves. Whether you want to jazz up your juice with ice cream or imbibe in some alcoholic brews, Six Barrel has the goods. A tight little date spot, an easy lunch meet-up or that perfect little hideaway to catch some rays and update the blog, Six Barrel Soda Co. factory cafe is as refreshing as the soda they pump out.